Wilde Rejects Dickens’ Legacy…Or Does He? Wilde heaped praise upon Matthew Arnold, Robert Browning, and Elizabeth Barrett Browning. 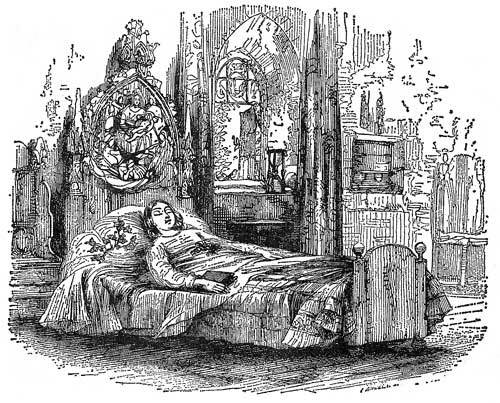 He even called Aurora Leigh “the greatest work in our literature.” But he was less than complimentary when it came to the great Charles Dickens; Wilde is famous for saying of Charles Dickens The Old Curiosity Shop, “One would have to have a heart of stone to read the death of Little Nell and not to dissolve into tears…of laughter.” Wilde found Dickens overly sentimental and wished to separate himself from this aspect of Dickens’ Victorian England. Yet he never fully succeeded in escaping Dickens’ shadow (indeed, few authors of the century did). Critics have pointed to similarities in the ways that Wilde and Dickens portray London, and Wilde even makes allusions to Dickens’ works–most notably Little Dorritt. Little Dorritt’s Mrs. General repeats the phrase “Papa, potatoes, poultry, prunes, and prism” to her young charges, and the phrase “prunes and prism” soon became closely associated with her character. Is it any coincidence, then, that Wilde chooses the name “Ms. Prism” for the proper governess in The Importance of Being Earnest? Even though Wilde didn’t subscribe to Dickens’ sentimental style, it’s likely that he had great respect for Dickens, as Wilde himself aspired to the same international acclaim that the Inimitable One had achieved. For collectors, Oscar Wilde is the ideal case study in how a single-author collection can–and should–come to include materials by a variety of other authors. A comprehensive Oscar Wilde collection would encompass the works of Wilde, not only his major literary pieces, but also the articles he penned as a journalist and critic. And a truly comprehensive collection would have a second layer: other authors’ reactions to and interactions with Wilde. For example, Shaw’s reviews mentioning Wilde are scarce because they were printed in periodicals on cheap paper, making them a challenging item for collectors to acquire. 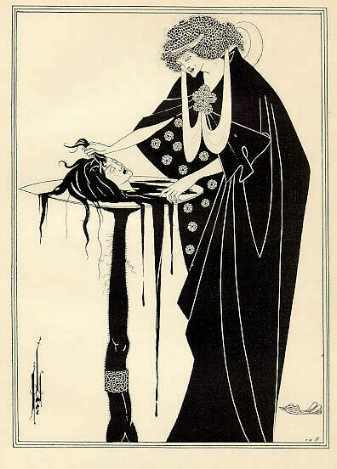 And Aubrey Beardsley’s caricatures of Wilde are sought after by both Beardsley and Wilde collectors alike, making them a desirable addition to an Oscar Wilde collection. 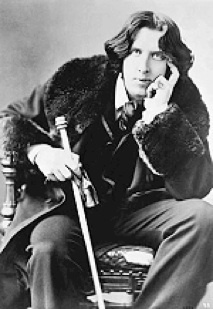 Oscar Wilde certainly left his mark on the world as an author and public figure. He will undoubtedly remain a popular figure among rare book collectors for generations to come. This entry was posted in 19th-Century Literature, Collecting and tagged aubrey beardsley, Charles Dickens, collecting, frank harris, george bernard shaw, Oscar Wilde on October 16, 2013 by tavistock_books.